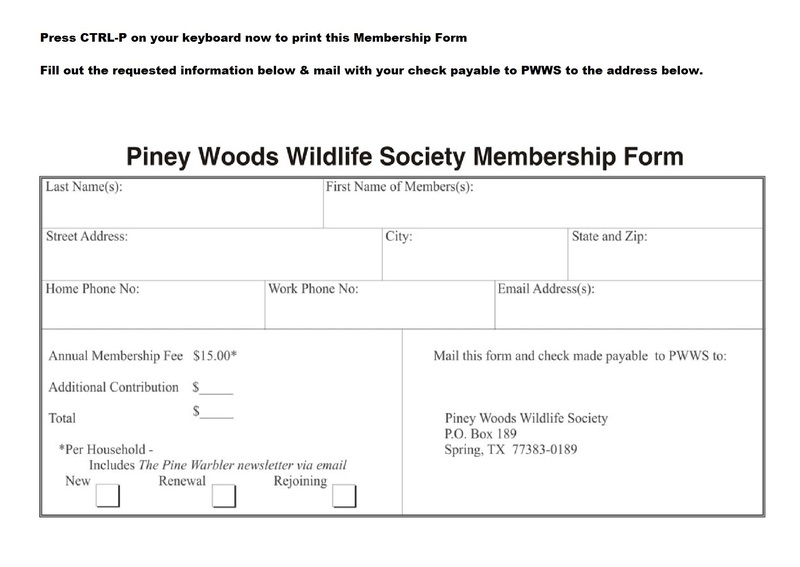 The Piney Woods Wildlife Society meets on the third Wednesday of each month except June, July and August. Meetings are held at 6:30 p.m. at the Big Stone Lodge at Dennis Johnston Park located at 709 Riley Fuzzel Road in Spring just 0.2 miles east of the Hardy Toll Road. See the “Meetings” tab for more information.